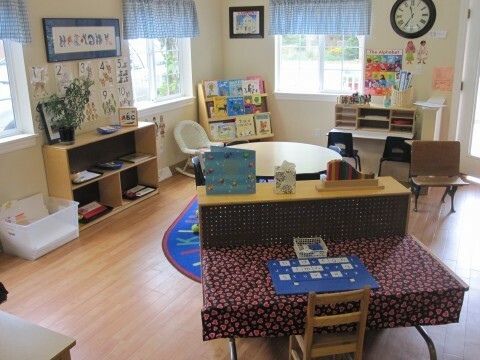 We at Harmony Preschool are proud to offer a unique and special environment for young children. As the owner and director of Harmony Preschool, I’d like to share with you our school’s special philosophy. To continually provide the highest quality developmentally appropriate program available for preschool age children. To provide a caring, and nurturing environment in which each preschooler’s unique interests and learning styles are best able to develop through the use of a variety of materials, designed to foster individual and social growth within a community of peers. With this in mind, the teachers at Harmony are selected very carefully. Our teachers are dedicated professionals, who are strongly committed to the school’s philosophy and betterment of the program. Our teaching staff consists of 5 teachers who team-teach together in a mixed age group of children utilizing one another’s strengths. In addition to working with our preschools, each teacher has a responsibility to be a lead teacher for a smaller group of children. These responsibilities include working as a liaison between home and school, writing and implementing an age appropriate lesson 4 times a week for an assigned group of children and conducting parent conferences as needed. While our teachers are crucial to the quality of the program, we recognize the prepared environment is equally important. We know that to meet the needs of each child in a truly developmentally appropriate environment, it is necessary to continually provide a meaningful, stimulating atmosphere, specifically prepared for all children with a variety of unique learning styles. When a child learns in an environment that allows him/her the freedom to choose, to explore, question, and manipulate, then a child is engaged in meaningful learning, and is sure to feel rewarded with his/her accomplishments. Harmony helps develop the most important skills your child will ever learn: self-reliance and self-empowerment. Thank you for taking time to inquire about Harmony Preschool. I can assure you that when you select Harmony Preschool for your family you have selected a high quality, community and family based program where peers, not only adults, teach, nurture, love, and care for one another. Please feel free to schedule a tour with me to see for yourself what a great place Harmony Preschool is. © 2018, Harmony Pre-School. All Rights Reserved.